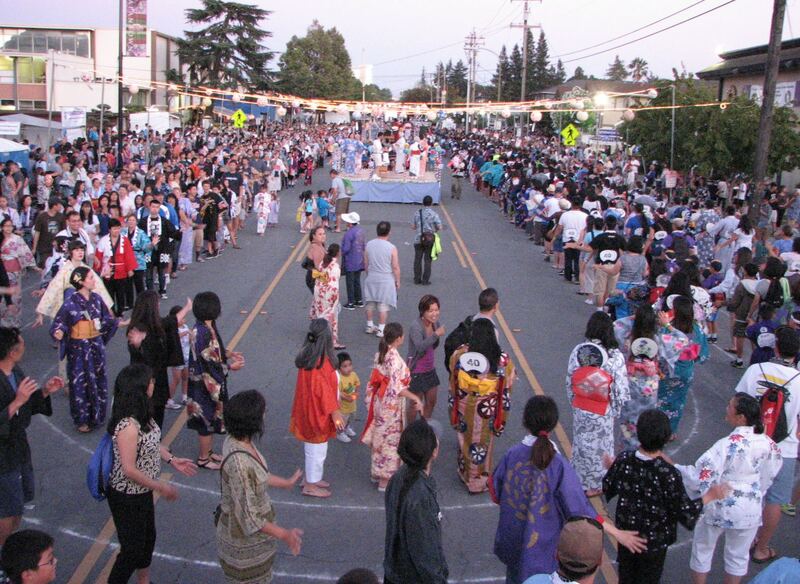 SAN JOSE — San Jose Buddhist Church Betsuin, 640 N. 5th St. (near Jackson Street) in San Jose Japantown, will hold its annual Obon Festival on Saturday, July 8, from 12 to 10 p.m. and Sunday, July 9, from 12 to 8 p.m.
Obon is a time when generations of families and friends come together and enjoy a rich cultural experience in one of the three remaining Japantowns in the United States. Japantown’s largest festival with two days of game booths, food booths, the Chidori Band, three taiko performances each day, including San Jose Taiko, and over 1,200 dancers in the colorful traditional festive wear each evening. Free parking is available in the Santa Clara County lot on 1st Street between Younger and Hedding (six blocks from the temple), with parking lot security and free shuttle bus transportation to and from the festival from 11 a.m. to 11 p.m. on Saturday and 11 a.m. to 10 p.m. on Sunday. For more information, visit http://sjbetsuin.com.